We all know we need probiotics, but are you getting enough prebiotics? Find out how prebiotics improve your health and how to get more of them! The most studied prebiotics are fructo-oligosaccharides (FOS), inulin (a type of FOS), and galacto-oligosaccharides. These are found naturally in many fiber containing plant foods, but you may also find these names in the list of ingredients in food labels since they are sometimes added to boost fiber content. Prebiotics specifically favor the growth of two types of intestinal bacteria, which are well known for the beneficial role they place as probiotics (discussed in more detail below). These bacteria ferment prebiotics, producing “short chain fatty acids” (SCFAs) – namely Butyrate. SCFAs are, in turn, an important nutrient for the cells of your large intestine, and have an important role in prevention and management of various diseases. Make sure that you eat a variety of fiber rich foods throughout the day together with your probiotics to make probiotics thrive. Those SCFAs that probiotics produce from prebiotics help decrease inflammation, thereby reducing risk for many chronic health conditions and diseases. Prebiotics can be of great help if you suffer from constipation. By favoring the growth of friendly bacteria and through fermentation, prebiotics can help keeping your bowel movements regular. Leaky gut is becoming more common and is linked to food sensitivities, skin rashes, depression, anxiety, and autoimmunity. The production of SCFA by intestinal bacteria contributes to the robustness of the intestinal wall. This is essential to prevent harmful bacteria and toxins from re-entering circulation through a “leaky” gut wall. Prebiotics might help prevent allergies in infants at risk of developing them. Ask a health practitioner when and how to add prebiotics to your baby’s meals. Prebiotics assist probiotics as they enhance immune function to better fight off infection. Adding prebiotics to your diet can increase the absorption of essential minerals which many people need more of, such as magnesium, calcium, zinc and, possibly, iron. Improved calcium absorption (mentioned above), along with adequate intake of fat soluble vitamins A,D,E, and K means stronger bones. The greater production of SCFA protects your intestine and helps prevent colon cancer. Adding prebiotics to your diet will help control your blood sugar. This is helpful for all of us, but especially important for diabetics. For some IBS sufferers, prebiotics can reduce abdominal pain and inflammation, and help regulate bowel movements (more on this below). Prebiotics – especially in combination with certain strains of probitoics like Lactobacillus acidophilus, Lactobacillus rhamnosis, Bifidobacterium bifidum, and Saccharomyces boulardii – may help prevent or alleviate traveler’s diarrhea, acquired by drinking contaminated food or water when traveling to countries with poor sanitation. Of course, precautions should always be taken to avoid unsanitary food and water – but having pre- and probiotics on hand just in case isn’t a bad idea! 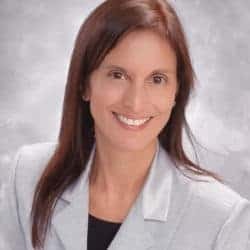 Leaky gut is believed by many autoimmune experts to be a necessary precursor to the development of autoimmune conditions. By helping maintain a tightly sealed intestinal wall, prebiotics can prevent toxins and undigested food proteins from entering circulation, where they can trigger immune and eventually autoimmune responses. Bacteria in the gut directly impact the brain and various neurological processes. Improving gut health has been shown to improve autism and ASD symptoms. Eczema and various other skin disorders, as well as food allergies and sensitivities, are linked to leaky gut. Adequate prebiotic intake can help prevent these conditions, and can assist in improving gut health in order to reduce symptoms. Do you need a Prebiotic supplement? In addition, whole foods come with a variety of other vitamins, minerals, and phytochemicals that promote health. Have irritable bowel syndrome (IBS) or inflammatory bowel disease and you do not tolerate prebiotic foods. Are taking medications that kill off friendly (probiotic) bacteria and/or promote the growth of undesirable bacteria. Examples include antacids, antibiotics, and oral contraceptives. Have another medical issue that prevents you from consuming fiber rich foods. When choosing a supplement, keep in mind that prebiotic supplements are available as prebiotics only, or in combination with probiotics. Prebiotics: These usually contain one or more prebiotics, and come in capsule or powder form. Synbiotics: these supplements contain probiotics plus prebiotics. Even if taking both the friendly bacteria and their fuel all at once sounds like the perfect option, they typically contain only a very small amount of prebiotics. As with prebiotic foods, always start with a small dose of prebiotic supplement, and increase gradually to prevent gas and bloating. Who should not take prebiotics? If you are following a “Low FODMAP diet”, often used to help manage symptoms of irritable bowel syndrome. You may benefit from slowly introducing prebiotics at some point during the treatment of these conditions. However, the study of prebiotics for the treatment of gut conditions is still developing, and there is a lack of consensus among practitioners on the benefits of adding them, in what amount, and when during the course of the treatment. 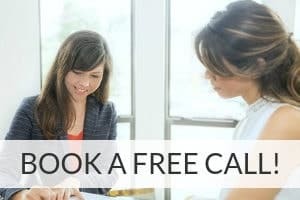 Consult with a licensed healthcare practitioner to determine whether prebiotic foods and/or supplements are right for you. 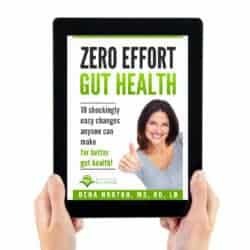 Zero Effort Gut Health eBook – Instant Download! Kellow, N.J., Coughlan, M.T., & Reid, C.M.(2014). Metabolic benefits of dietary prebiotics in human subjects: a systematic review of randomised controlled trials. British Journal of Nutrition, 111, 1147-1161. Cuello-Garcia, C.A., Fiocchi, A., Pawankar, R., et al. (2016). World Allergy Organization-McMaster University Guidelines for Allergic Disease Prevention (GLAD-P): Prebiotics. Beserra, B.T., Fernandes, R., do Rosario, V.A., Mocellin, M.C., Kuntz, M.G., & Trindade. E.B. (2015). A systematic review and meta-analysis of the prebiotics and synbiotics effects on glycaemia, insulin concentrations and lipid parameters in adult patients with overweight or obesity. Clinical Nutrition, 34, 845-858. Grimaldi, R., Cela D., Swann, J.R., Vulevic, J., Gibson, G.R., Tzortzis, G., & Costabile, (2017). In vitro fermentation of B-GOS: impact on faecal bacterial populations and metabolic activity in autistic and non-autistic children. Microbiology Ecology, 93. Li, Q., Han, Y., Dy, A.B., & Hagerman R.J. (2017). The Gut Microbiota and Autism Spectrum Disorders. Frontiers in cellular neuroscience. Byrne, C.S., Chambers, E.S., Morrison, D.J., & Frost, G. (2015). The role of short chain fatty acids in appetite regulation and energy homeostasis. International Journal of Obesity 39, 1331–1338. Nicolucci, A.C., Hume, M.P., Martinez, I., Mayengbam, S., Walter, J., & Reimer, R.A. (2017). Prebiotics Reduce Body Fat and Alter Intestinal Microbiota in Children Who Are Overweight or With Obesity. Gastroenterology, 153, 711–722. PROBIOTICS ARE MY LIFELINE! They changed my life 12 years ago and I would never go back to not taking one! I also recommend others take them too, they’re so friggin amazing for ALL the reasons but for me especially I have LOTS of digestive issues and they help tremendously!!! That’s great, Gigi – thanks for sharing your story! my favorite probiotic is YAKULT. you should try it. it’s yummy! Prebiotics is great to our health! Now I have an idea what are the foods good in Prebiotics. Such a very interesting and informative post to read. Now I know how important Prebiotics into our health. 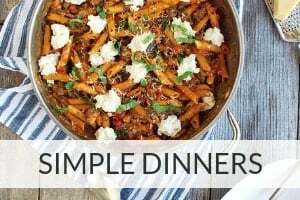 I didn’t know about prebiotics before reading this post. 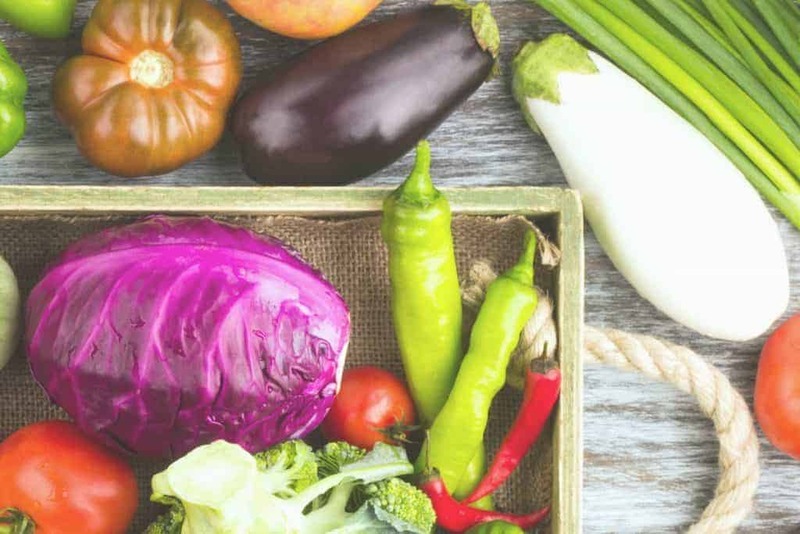 I do eat a lot of vegetables lately, some of the ones on your list as well, which I guess it means that my body does get the prebiotics from natural sources. Thanks for this! I don’t eat enough probiotics and I know it, but I doooo take supplements! 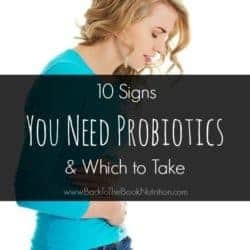 Probiotics are so important and I am glad you did this post. I hope a lot of persons will become aware. I have IBD and am all about probiotics. I am now thinking I should go and get some prebiotics as well and focus on that for a while. Thank you so much for sharing this, it was so enlightening. 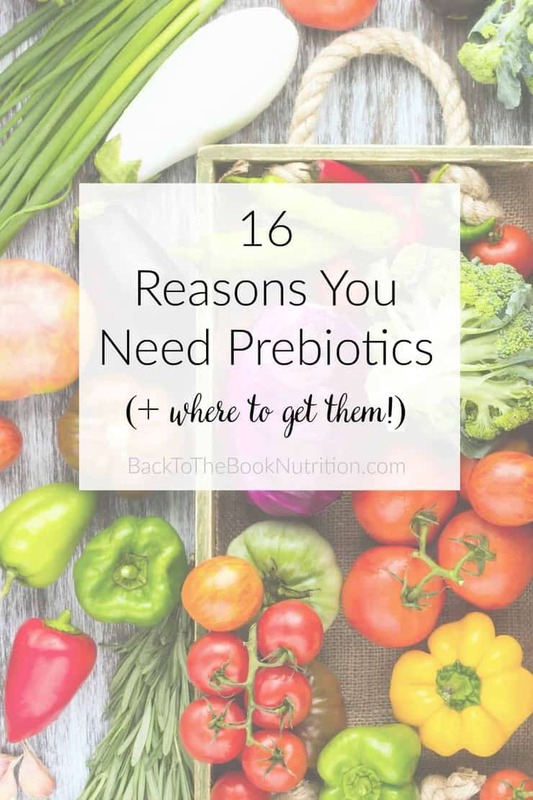 Yes, prebiotics are also important, whether from foods or supplements! Probiotics are amazing I started years ago and has changed for the better in so many ways. 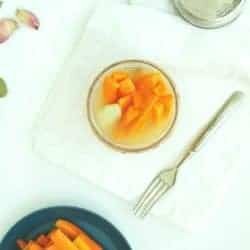 Such a very informative post to read and I really like the way you give us an information on how to take care of our health.